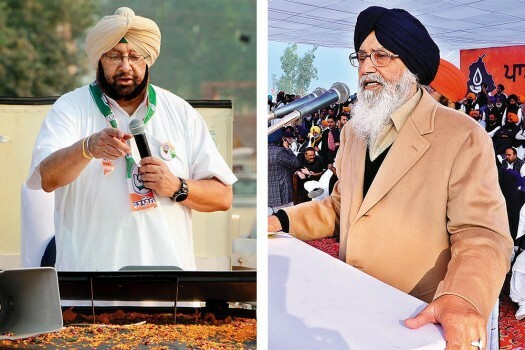 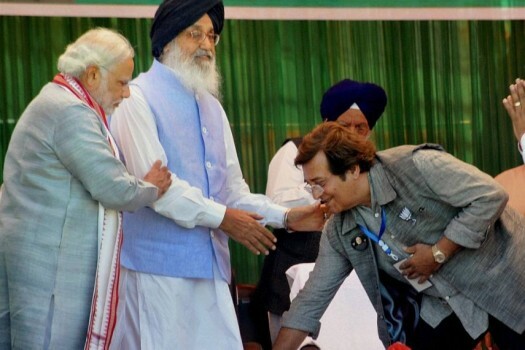 BJP PM candidate Narendra Modi looks on as party candidate Vinod Khanna seeks blessings of Punjab CM Parkash Singh Badal during an election rally in Pathankot. 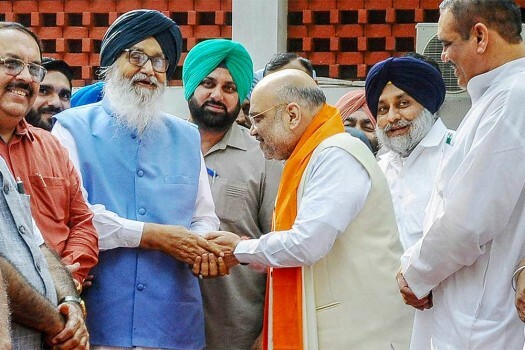 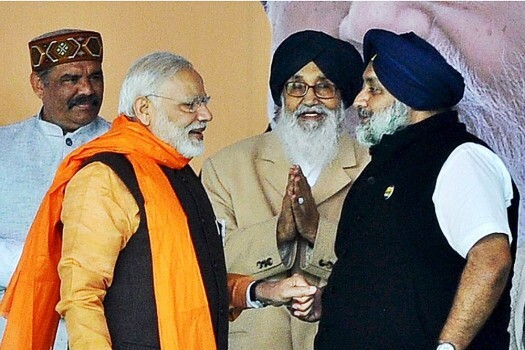 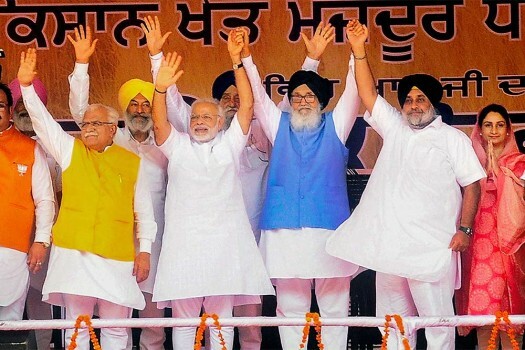 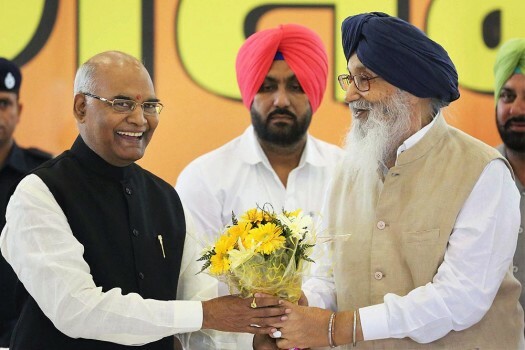 Prime Minster Narendra Modi shares lighter moments with Punjab CM Parkash Singh Badal and Dy CM Sukhbir Singh Badal at a BJP-SAD rally at Kotkapura, in Faridkot. 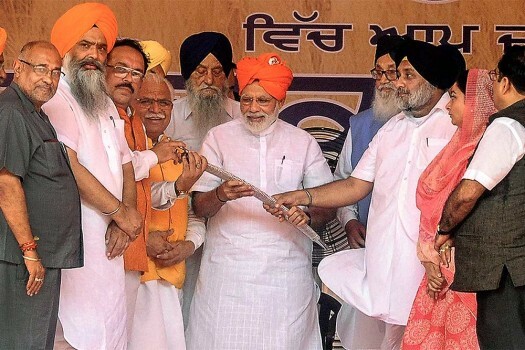 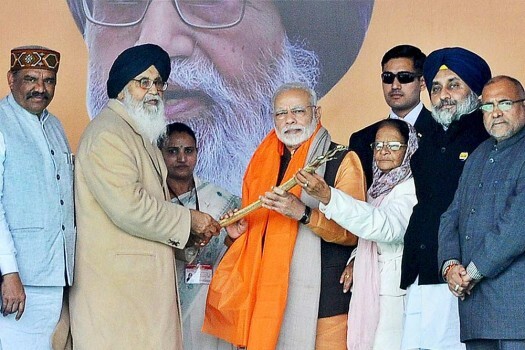 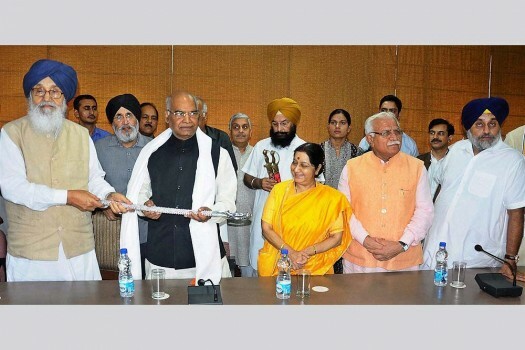 Punjab CM Parkash Singh Bada presents a sword to Prime Minster Narendra Modi at a BJP-SAD rally at Kotkapura, in Faridkot. 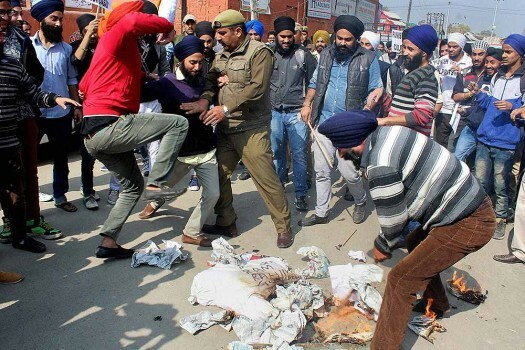 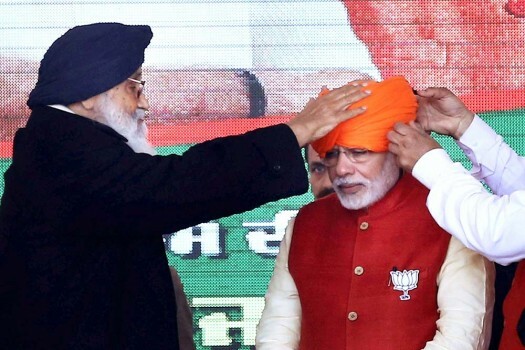 Prime Minister Narendra Modi is offered a turban by Punjab Chief Minister Parkash Singh Badal at the Vijay Sankalp Yatra rally for Punjab Assembly elections, in Jalandhar. 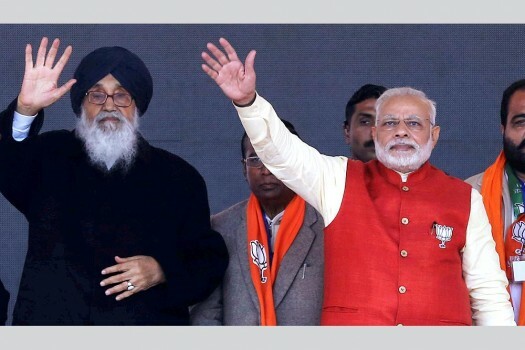 Prime Minister Narendra Modi with Punjab Chief Minister Parkash Singh Badal waves at crowd at the Vijay Sankalp Yatra rally for Punjab Assembly elections, in Jalandhar. 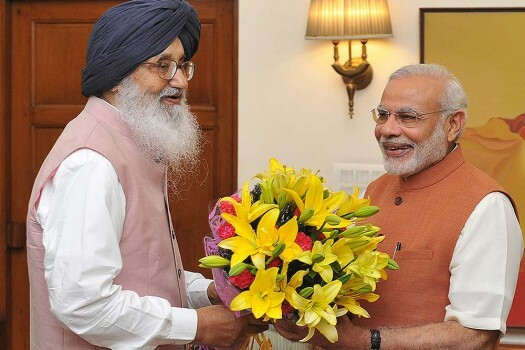 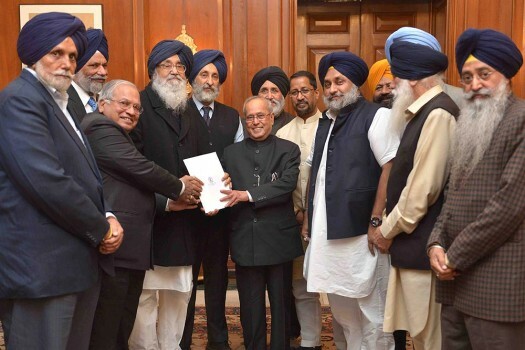 The Chief Minister of Punjab, Parkash Singh Badal calling on the Prime Minister, Narendra Modi, in New Delhi. 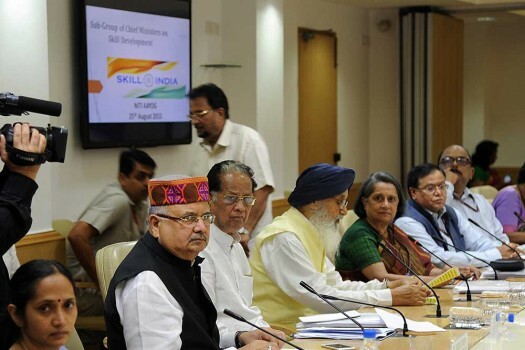 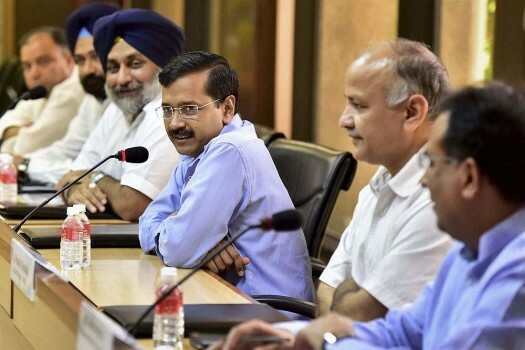 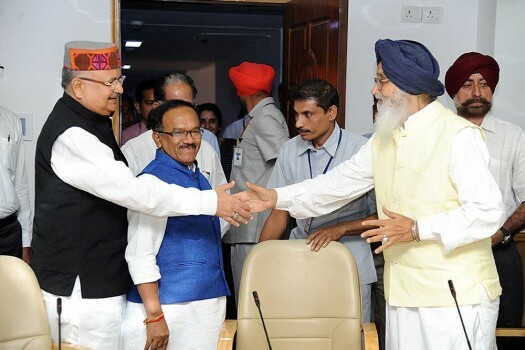 Chhattisgarh Chief Minister Raman Singh and Punjab CM Parkash Singh Badal during the meeting of the Sub-Group of Chief Ministers on Skill Development at NITI Aayog, in New Delhi. 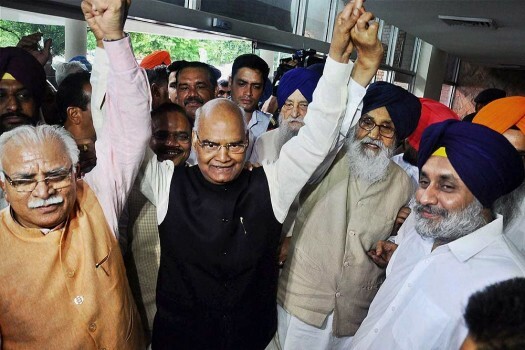 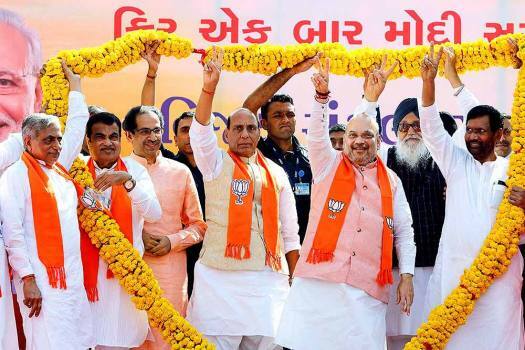 BJP chief Amit Shah files nomination for Gandhinagar Lok Sabha seat. 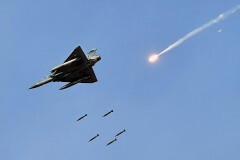 "Even Bangladesh Protects Its Own"